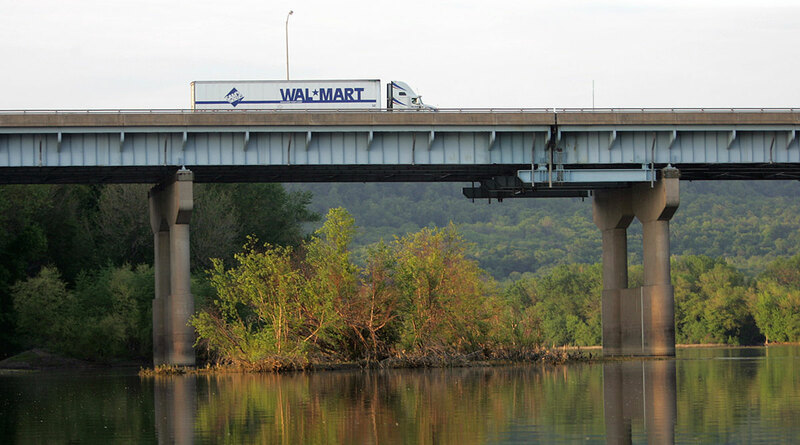 Katko’s first of four meetings was in Auburn, about 30 miles from the 1.4-mile strip of the aging Interstate 81 viaduct that has reached the end of its useful life. He stressed that the fate of the highway affects the whole region. “This is a regional issue, not just a city issue,” Katko told about 100 attendees at a forum at Cayuga Community College. The other town halls are happening around areas near I-81. Those who spoke were truckers worried about increased costs, residents of lakeside towns, commuters and activists. Katko, who has not yet publicly endorsed an option, said he just wanted to listen to concerns ahead of a much-anticipated report from the New York State Department of Transportation that evaluates the possibilities for the highway’s future. The state is evaluating three potential options for replacing the highway through the city’s center, including rebuilding it higher and wider, building a tunnel, and tearing the highway down — a so-called “community grid” option. Under that option, through traffic would be diverted onto what is now I-481. The state will evaluate the impacts of each option in a soon-to-be-released draft environmental impact statement. That will set in motion a series of community meetings, public input and, ultimately, decide what is to be done. “The state said they were going to have this in January. We want it as soon as possible,” he said. Its release has been delayed after Gov. Andrew Cuomo asked the transportation department to consider again whether a tunnel is feasible. It had previously been rejected by state engineers due to cost and other concerns. Truckers and residents who spoke at the meeting seemed to prefer the tunnel or rebuilt-viaduct options, saying they are worried about increased costs, delays and pollution. Truckers whose delivery routes send them along I-81 said they’re most worried about the “grid” option, which they said would add to travel times by forcing them either onto I-481 or onto city streets. Brian Brundige, a trucker, estimated it would cost his company $76 a trip if he was diverted onto I-481, though he didn’t explain exactly how he arrived at that number. He said he makes six to 10 trips a day on I-81. Other residents of Auburn or nearby towns said they were concerned a “grid” option would send trash trucks and other semi-trailers onto their local roads, which they described as in poor shape. Resident Cindey Beckwith said she is worried more trucks driving alongside Skaneateles Lake, which provides drinking water to Syracuse and other central New York towns, will result in pollution or other environmental hazards. “The roads are right there along the water. If there’s an accident or something, that’s going to pollute the lake,” she said. DOT’s travel time estimates show zero or minor increases in commute times from various places in and around the city, though Katko said he would like to see more estimates from places farther out of Syracuse.